Fimtardómr (Fifth Court/High Court) is the ultimate authority under the Government of Helluland to resolve disputes between Víkingar. Fimtardómr is also responsible for the Official Níðingar Registry (ONR), published in application of Jónsbók and Grágás (medieval Norse laws), as well as modern Helluland and Icelandic laws. While all Víkingar are encouraged to resolve disputes at the tribe level and through the use of hólmgöngur, any Víkingr is entitled to file a formal claim against another Víkingr before Fimtardómr (Fifth Court/High Court). Such claim will be reviewed and adjudicated by a rotating panel of 3 judges drawn from Víkingaherr. I SWEAR AN OATH THAT THE INFORMATION SUBMITTED IS TRUE AND WITH BASIS. I UNDERSTAND THAT FILING FALSE CHARGES WILL AUTOMATICALLY RESULT IN NÍÐINGR STATUS. Your claim has been received and will be reviewed. As a Víkingr, you are entitled to bring charges against an individual, a government agency, organization, or corporation. 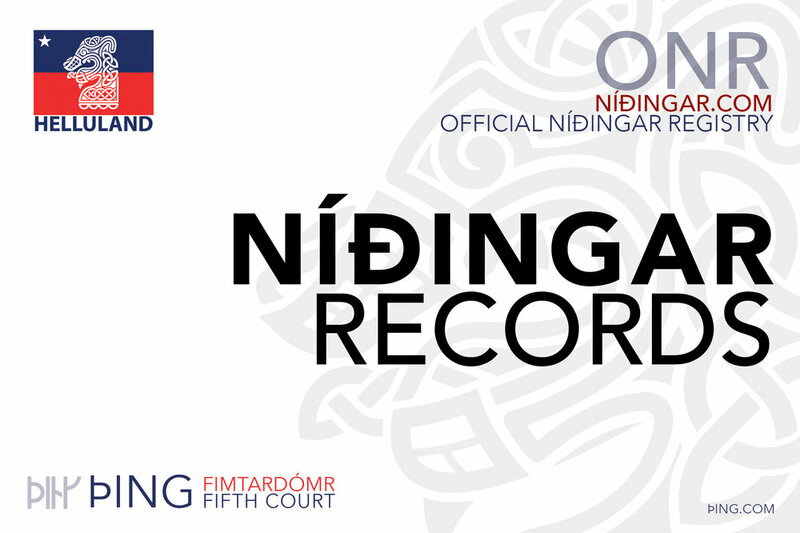 The charges will be reviewed by the Fimtardómr (Fifth Court/High Court), and if deemed founded, will result in the party being sentenced to níðingr status, with record in the Official Níðingar Registry (ONR). Your filing has been received and will be reviewed.